You will not be charged until order ships. Custom protective cover for the Behringer X32. As front of house engineers know, sometimes the sound booth (if there is one) is accessible to whoever feels like messing with your settings after sound check. The pro-range puts a solid barrier between such intrusion, granting audio engineers peace of mind whatever the scenario. 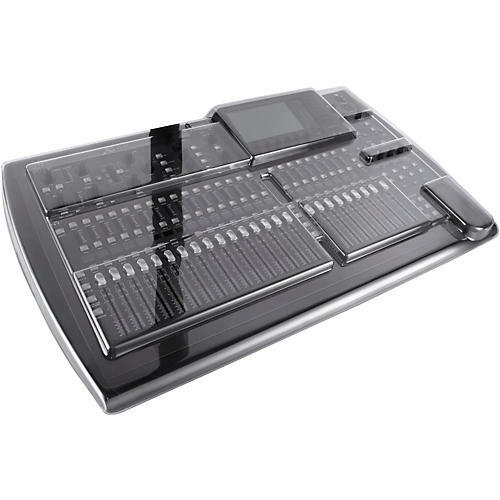 Designed and engineered specifically for the Behringer X32 digital mixing desk and manufactured from polycarbonate, a tough transparent plastic rigorously tested. Shields faders and controls from dust, liquids and other damaging elements whilst accommodating cables. Recommended by the industry, used by professionals. Protect your gear, order today!